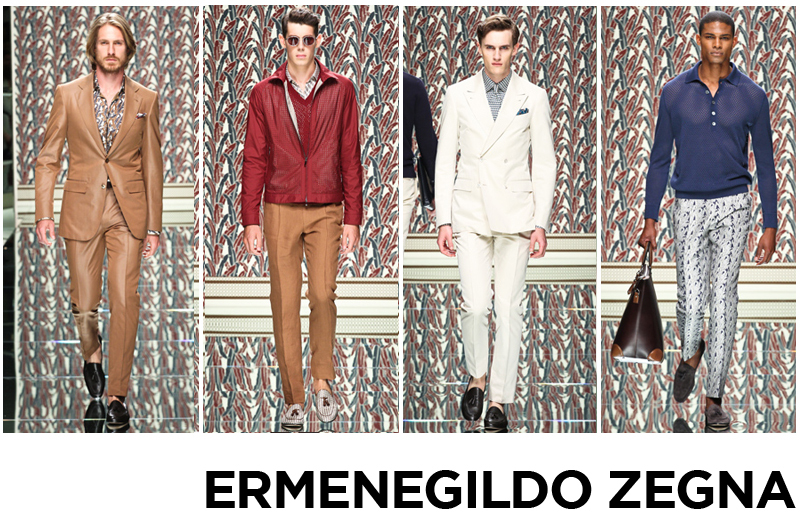 Sophisticated luxury with a dash of youthful eccentricity was at the heart of Ermenegildo Zegna’s Spring Summer 2013 collection. Known for their classic, traditional approach to Italian tailoring, however next summer sees them experimenting with rich, earthy tones of brown, tan, blue red and grey. Jackets were cut in sumptuous silks with matching trousers The banana tree provided the motif for micro-print suits and also appeared in larger forms on luxe silk shirts. Other highlights included perforated silk tops and leather jackets echoing the more youthful direction of the entire collection. Tasseled loafers and oversized tote bags were the perfect compliments for the runway looks. 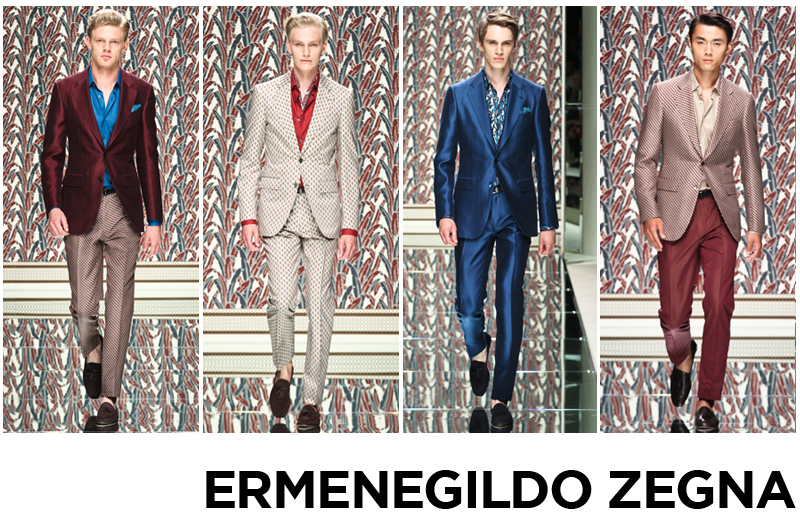 The Zegna design team put together a collection that truly reflected the modern Italian man and his wardrobe. 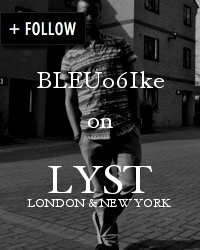 There’s no doubt that men around the world will be falling over themselves when the collection comes out next year.